Ok, I FINALLY got around to getting screen shots of GEM. 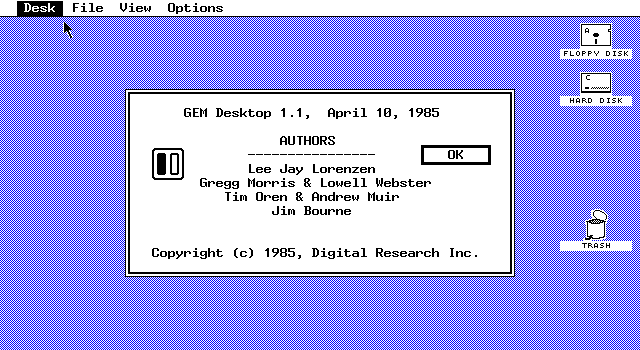 GEM is a DOS based GUI first announced in late 1984 and released in early 1985 by Digital Research. GEM was a very popular GUI for DOS until Microsoft Windows killed it. 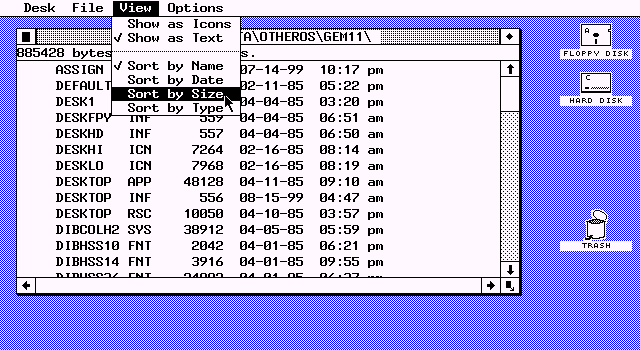 There were a number of third party applications designed to run under GEM, and the GEM desktop was also later used in ViewMAX, the file manager for DR-DOS. This is the default desktop showing the Desktop Info dialog. These screen shots were taken in EGA 640*350 video resolution since GEM 1.1 does not support VGA. 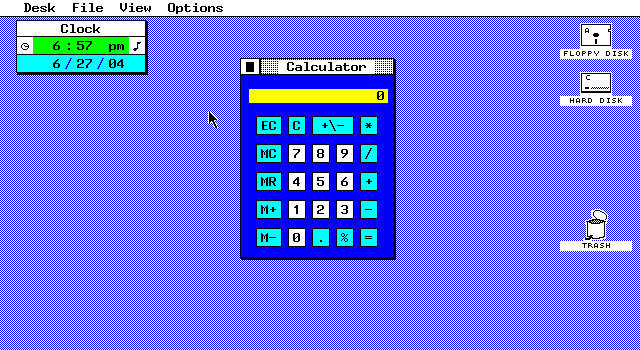 The GEM UI attempted to be a clone of the Macintosh UI of the time. It was nowhere as sophisticated or complete, but it has similar menus, overlapping windows, icons for files and folders, drives on the desktop, drag and drop, exiting apps uses file-quit, and a trash icon. A few noticeable differences: Opening a folder always opens it in the same window rather than a new one, the trash icon is not a real folder, and drive icons must be manually added or removed. 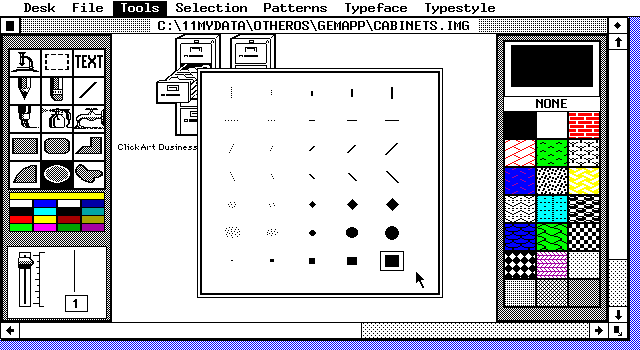 However, it was close enough to the Mac UI that Apple sued Digital Research. Folders can be displayed as text instead of icons and can be sorted by name, date, size or type. A couple of accessories include a clock and calculator. Again these are similar to what was on the Macintosh at the time. Instead of a full blown control panel it has a simple preferences dialog. 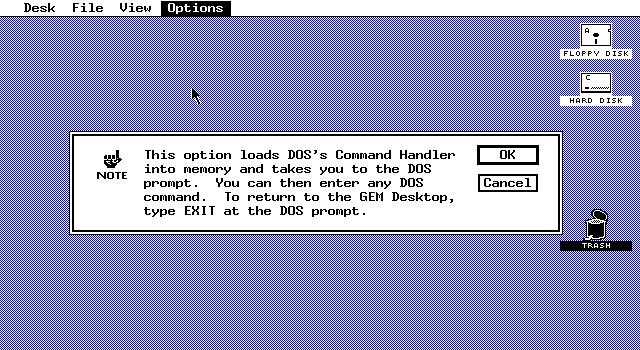 Since GEM runs on top of DOS it can also shell out to DOS to run DOS application. .
An example of an application running under GEM. This shows GEM paint, a simple paint program that was sold separately.